If you’re a software engineer, you think about problems and solutions from a coder’s perspective. This is the product manager mindset. It will be of incredible value, but you will need to add another layer of perspective to the way you think, and here’s an easy way to start. Start paying attention to the changes that happen on products you use every day. What are the drivers for the change? How do they affect your experience with the product? Why were they made that way? Let’s take the example of how the interface change in Whatsapp affected the way we access our contact list on the app. Before one of its most important updates, we were used to opening the app and see the list of active chats with search and a drop-down menu on top, through the latter we could access our contact list. Since the launch of Whatsapp calls, the opening screen has three main sections Calls, Chats, and Contacts. This seemingly insignificant change greatly improved the user experience: being able to swipe from Chats to Contacts allows us to access our contact list with one touch instead of two, and that touch is not confined to a specific location in the screen. Great user experience means nothing if you don’t attract customers. How are companies getting new customers? Why did they choose those channels? To which part of the funnel does a specific tactic belong? Let’s analyze two types of ads now. The first one corresponds to AT&T’s Business Circle, a content site. 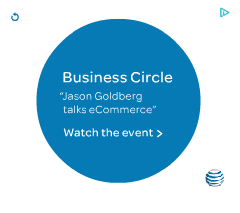 It is a banner ad that appeared in the homepage of entrepreneur.com; this is an upper-funnel tactic in which AT&T determined that the website’s visitors match the profile of the customers they want to attract. 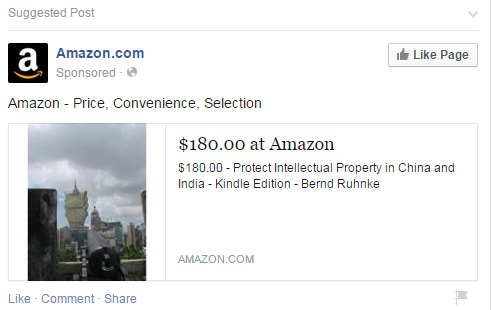 Second, we have an Amazon ad displayed on my Facebook feed because I was looking at that specific book a couple of days ago; funnel-wise, this ad corresponds to customers who are way beyond awareness of the product and closer to purchase. Analytics are a fundamental element of the job of any Product Manager. You have to be able to think of how to measure the outcome of every decision you will make. What do you think you should measure? How will you make the measurement? Which value will you attribute to success or failure? In the WhatsApp example, we could measure the incremental number of new chats started due to the ease of access to the contact list, the increase of messages sent or even time spent on the app. For the case of the AT&T display ad, click-through rate will be a critical element to determine the relevance of the ad text to attract users, while the bounce rate can help us know if the content of the page is relevant or not. For Amazon’s Facebook ad, what will likely be the most relevant measurement is the number of people who buy the item, as well as the cost of getting the customer to buy. You can start getting ready for a product manager career path right away by just paying attention to your surroundings. 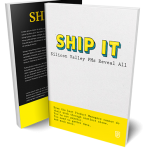 However, if you’re looking for in-depth preparation towards a career in Product Management there are many options that you can look into: don’t miss our piece on The Bootcamp Revolution.